A nonprofit organization frequently needs to mail in quantity, but mailing in quantity at the first-class postal rate is expensive. Fortunately, nonprofit organizations may qualify for a nonprofit rate and for a bulk mail rate. The United States Postal Service has various restrictions on bulk mailing: mail must be sorted before it is mailed, and the nonprofit must follow restrictions on advertising, on the content in the bulk mail and on who the nonprofit can send their bulk mail to. A nonprofit can face civil or criminal fines if it fails to follow the postal service regulations. The postal service will authorize nonprofit mailing rates only for the specific types of nonprofit organizations that fall into the particular categories that it sets. The postal service authorizes nonprofits to use the nonprofit mailing rate for the following types of nonprofit organizations: those organized for a religious, educational, scientific, philanthropic, agricultural, labor, veteran, or fraternal purpose. Fraternal organizations are those that foster benefit among its members, such as the Elks or Masons. Additionally, voting registration officials and certain political committees may apply for nonprofit rates, such as the national and state committees of political parties, congressional and senatorial campaign committees. To apply for a nonprofit mailing rate, the nonprofit must submit an Application to Mail at Nonprofit Standard Mail Prices. On the form, the nonprofit needs to specify the purpose of the nonprofit, and to confirm that the profits of the organization are not distributed to individuals. The nonprofit must include supporting documents, such as an exempt determination letter from the IRS stating that the nonprofit is a 501(c)(3) organization. The nonprofit must also include organizing documents that verify the nonprofit status. The nonprofit must submit the application to the specific post office that the nonprofit will use for mailings. The nonprofit can keep the nonprofit mailing rate so long as it sends out a bulk mailing at least once every two years. To send bulk mail, the nonprofit must apply for a mailing permit and pay an annual fee, which varies depending on the method it uses to send bulk mail. All nonprofits can choose to apply for the following mailing methods: using a postage meter, cancelled stamps, or a permit imprint. A postage meter is a machine that prints postage onto the mail and enables the nonprofit to track how much postage it uses on a daily basis. Cancelled stamps look like normal stamps, but are sold at a lower rate to those with a bulk mail permit. A permit imprint is the most popular and convenient option, and allows the nonprofit to print postage information on the envelope from any printer. The post office subtracts the postage from the nonprofit's postage account. The fee for this permit is higher, but it does not require the nonprofit to lease any equipment. The actual application form this permit varies, depending on which option the nonprofit chooses.To maintain the mailing permit for bulk mail, the nonprofit must ensure that it pays the annual mailing fee. A nonprofit may not use its nonprofit rate to send out any mail on behalf of another organization or individual -- including another nonprofit organization. The nonprofit may only use its permit to send mail for the nonprofit. Failure to adhere to these regulations can result in civil or criminal fines. Further, the mailing must not include advertising for another organization. However, the nonprofit is permitted to solicit donations for itself. 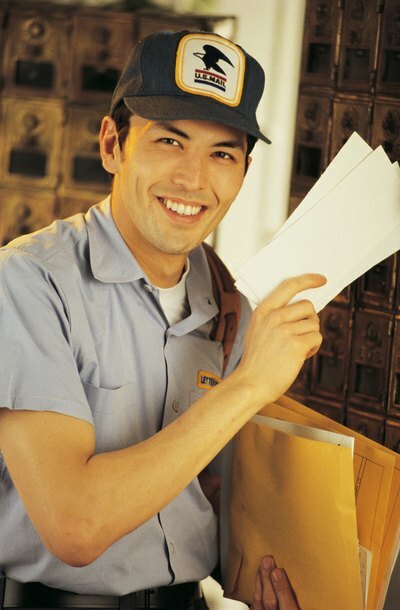 Additionally, the mailing must contain a minimum of 200 addressed pieces or 50 pounds of addressed pieces. The nonprofit must prepare the mail properly before it brings the mail to the post office. The name of the nonprofit must be on the envelope of each letter, and also on the mail itself, such as on the letterhead. The nonprofit should verify that all of the recipient addresses are correct. To do so, maintain a mailing list and utilize a certification program. All bulk mail must be presorted by zip code before the nonprofit delivers it to the post office. USPS: What is Bulk Mail?